When I send a document to a client/supplier, can I define how this person should be named in the email? Yes, you can define a "nickname" for your clients and suppliers. 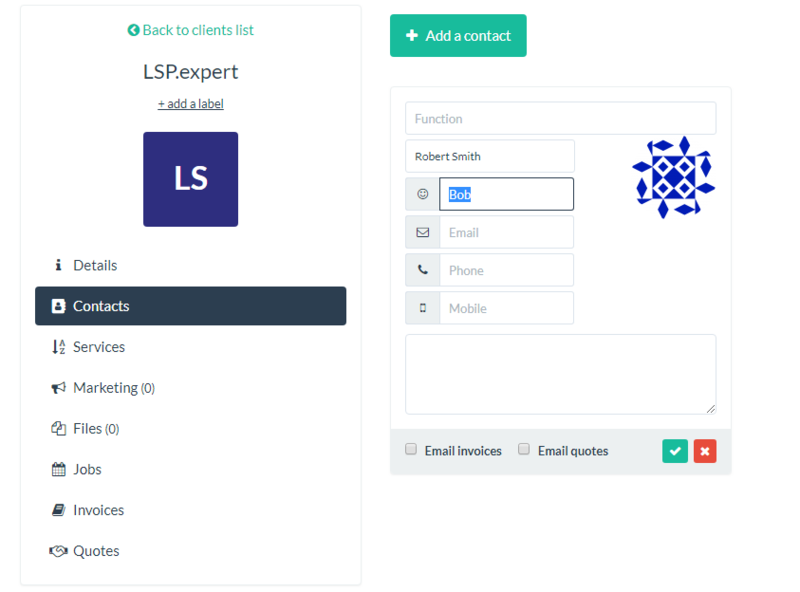 When you send an email to a client/supplier through LSP.expert, you can define how you want to name this person in the email (i.e. 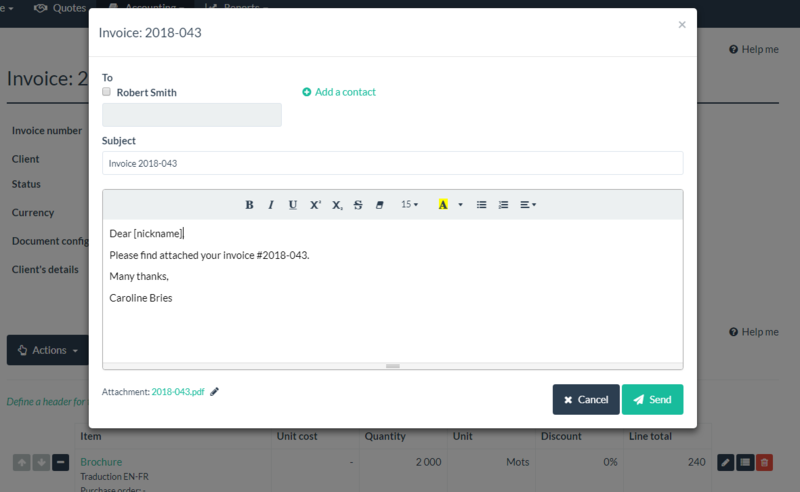 give them a nickname), to customize your emails even more. For example, you have a client called Robert and you're very close to him, so close that you call him "Bob" (and that it feels weird to call him "Robert"!). In this case, you can define that his "nickname" is Bob (in the field with the little smiley under Contacts in the client's details).